It’s about four racist evil b*stards who assaulted a defenseless teenager, Rawiri Falwasser, now 20, with batons and pepper spray in a police cell in 2006. It’s about an apartheid system that found the four racist evil b*stards NOT guilty. The gang of four “paramilitary” thugs [policemen] were acquitted by an all white jury. 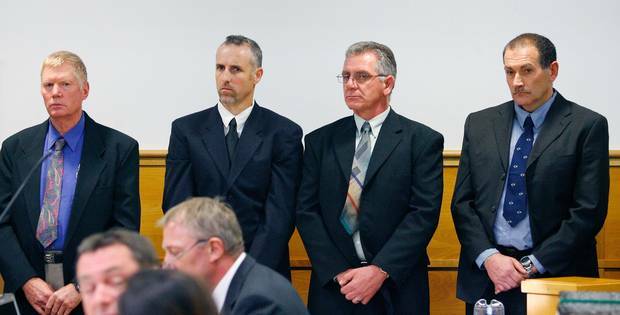 L-R Senior Constable Bruce Laing, Constable John Mills, Sergeant Erle Busby and Sergeant Keith Parsons in the dock during the 2008 trial. (Photo: NZHerald) Image may be subject to copyright. See NewZeelend Fair Use Notice! Mr Falwasser said he feared for his life and wrote “Jesus” in his blood on the cell walls to attract attention. He suffered a five-centimeter gash on his head, a 6½-centimeter cut on his arm and bruising on his arms and legs from batons. He now suffered from post- traumatic stress. Our Brothers and Sisters must join hands together and express their revulsion against the blatant miscarriage of justice. The Police Brutality Must NOT Go Unpunished! Warning: Stay Out of New Zealand! Heavily armed paramilitary unit protects 20 firefighters trying to extinguish a house fire which was started deliberately in the city of Invercargill, one of New Zealand gang war zones, Saturday night. Last week the headquarters of another Invercargill gang were burnt to the ground. Image: The Southland Times/Stuff NZ. Image may be subject to copyright. See NewZeelend Fair Use Notice! A New Zealand University Expert: Violence will get a lot worse! New Zealand cities are among the most violent places in the world. – New Zealand is a pretty dangerous place for visitors, Asians, women and children. For detailed news and analysis, check out the content of this site. Must read for foreigners planning to visit, or move to NZ! How Safe is NZ for Women? “Rising violent crime has made more than two-thirds of Christchurch women more fearful for their safety than they were five years ago, a new study of attitudes toward crime shows. “With violent crime rates increasing in the city and several recent high-profile cases in which women were victimized, 71 per cent of women said they felt less safe than they did in 2003. Unfortunately, the report “weaselwords” its way through statistics and stops short of providing detailed analysis of the level of violence in New Zealand and the crimes which are mostly committed against foreign visitors, Asians and other minorities. Further, the report limits its “findings” to Christchurch and leaves out other major violent cities like Auckland and Wellington. New Zealand: Where you could get killed for the first time in your life! Visit New Zealand! Experience the unique feeling of leaving the country in a body bag. Google Censorship: Flagrant Violation of Free Speech! Google search engines continue to block specific searches for information on New Zeelend posted after early June 2008. New Zeelend is a non-commercial, volunteer service public information blog dedicated to exposing the truth about New Zealand. The Internet has become a new frontier in the struggle for human rights,” said Kate Allen, director of Amnesty’s British operations. Two years on, and in a flagrant violation the US Constitution and international law, Google now appears to be colluding with the repressive regime in New Zealand to curtail our online freedom and our inalienable right to free speech. Google is blatantly violating the United States Constitution and the international law, and therefore poses a clear and present threat to online freedom and freedom of speech in the United states and in other countries throughout the world. Google must NOT be allowed to operate in its current format. Constructive comments, suggestion and other information concerning this campaign may be posted below. A key government official in Fiji claims she has email written by Michael green, a senior New Zealand “diplomat,” showing secret interference in Fiji’s internal affairs. 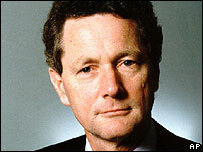 Michael Green had been high commissioner in Fiji since 2004. Photo: BBC/AP/NZMFAT. Image may be subject to copyright. See NewZeelend Fair Use Notice! A report by Fiji Human Rights Commission head and Ombudsman Shaista Shameem states New Zealand’s Ministry of Foreign Affairs deputy secretary, Michael Green, is involved in a “conspiracy to cripple the administration of justice in Fiji”. Michael Green was New Zealand’s High Commissioner in Fiji until he was declared persona non grata and kicked out of the country in June 2007. Dr Shameem says he “was still interfering in Fiji’s internal affairs”. (Source). It’s believed that Michael Green works closely with the “career diplomat” who has been appointed NZ ambassador to Sweden. The following statement was made by an operator/informer who worked for NZ Secret Intelligence Service (SIS) unit in Nelson, which was operated by the local manager of NZ Trade and Enterprise. Would Sweden expel the new NZ ambassador, if she was proven to be a “Canadian-trained” spy? A “career diplomat” has been appointed NZ ambassador to Sweden, Foreign Ministry said. The appointee is deputy director of the Ministry of Foreign Affairs and Trade’s Pacific division. NZ is opening a new Embassy in Stockholm as a step forward (!) in relations with the Nordic countries, a NZ govt. mouthpiece said. An outbreak of norovirus in New Plymouth, New zealand, has killed at least one person in a rest home. More than 100 cases of noroviros infection have been reported recetly, a medical health officer said. Norovirus affects people of all ages. The viruses are transmitted by faecally contaminated food or water and by person-to-person contact. Keep Your Kids OUT of New Zealand! 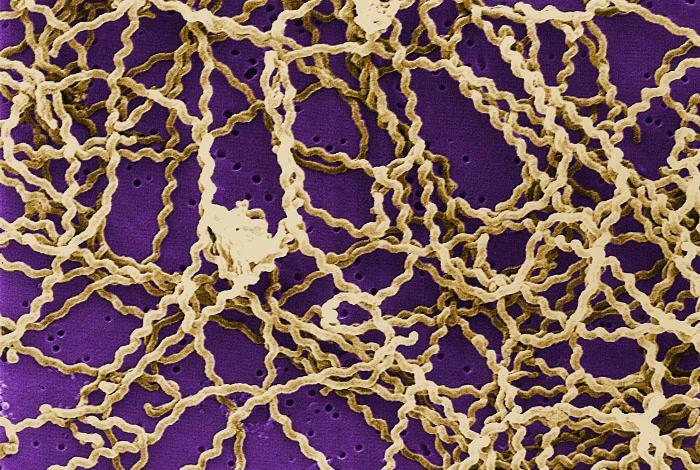 Health workers revealed an outbreak of group A streptococcus bacterium, which causes rheumatic fever and can lead arthritis and heart damage, had infected at least 32 children in Kaikohe, New Zealand. 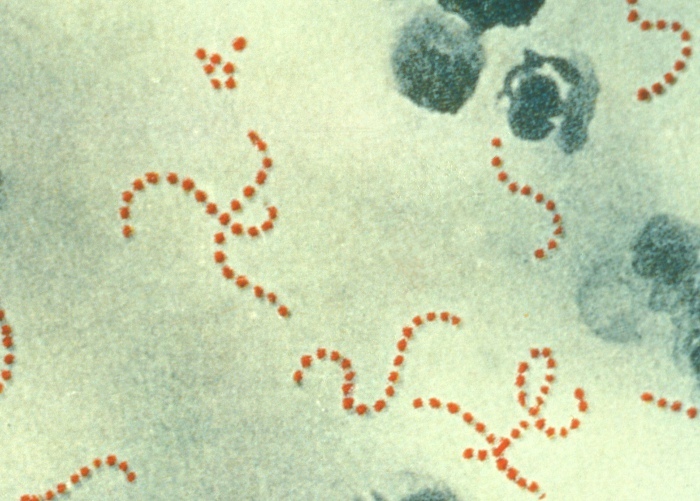 Photomicrograph of Streptococcus pyogenes bacteria, 900x Mag. 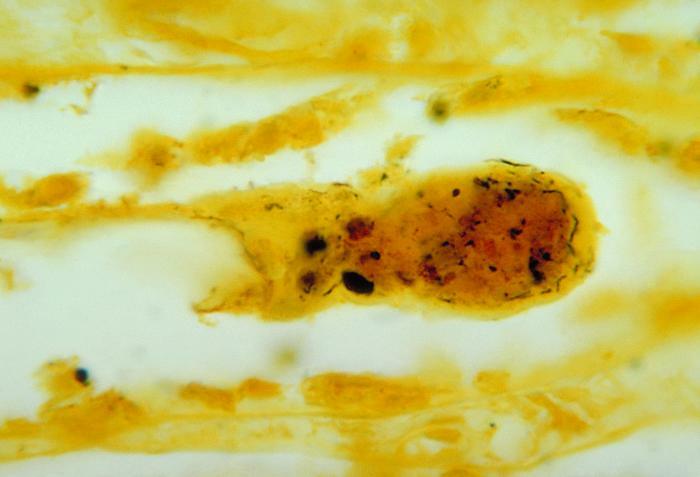 A pus specimen, viewed using Pappenheim’s stain. Last century, infections by S. pyogenes claimed many lives especially since the organism was the most important cause of puerperal fever and scarlet fever. This media comes from the Centers for Disease Control and Prevention’s Public Health Image Library (PHIL), with identification number #2110. What a convoluted way to attract the Gulf petro-money. Is the old interest-rate trap collapsing? 1. Pretend you are antisemitic. 2. Have the media or advertising industry make a remark that could be regarded even remotely as antisemitic. 5. Wait for rest of the acts to follow automatically, starting with the nearest Israeli Embassy issuing a “Jihad” order. 6. Hey presto, your mix is ready. Troubleshooting your recipe: What are the potential obstacles to hoodwinking everyone? 2. Without its banking sector, New Zealand would be like another Haiti. How could anyone possibly believe the global banking cabal would tolerate an “antisemitic” New Zealand? 3. It’s no great secret that the global media and advertising industries are Jewish dominated. If anything “antisemitic” is said to muddy the waters, it would be a ruse of Jewish design meant to arouse predetermined responses. How could anyone overlook this glaring fact? 4. How could the rulers of Gulf states be so dumb as to fall for the good cop, bad cop act? Is that a problem or a question? 5. How could anyone be so stupid as to think their money would be safe in New Zealand. Just exactly how many tons of kiwifruit did you say they produced? The Canberra-based embassy’s criticism of New Zealand’s race relations follows an advertising campaign that drew complaints from the Jewish community. The campaign was withdrawn hours after New Zealand Jewish Council chairman Geoff Levy complained. The billboards that sparked the comments were for a Prime Television show, Madmen: The Glory Years of Advertising.